Richard H. Rothman, a pioneering hip surgeon and founder of one of the nation's top orthopedic practices, died Sunday at 81 years old after a lengthy battle with cancer. The head of the Rothman Orthopaedic Institute, a Cheltenham native and graduate of the University of Pennsylvania, had recently retired from surgery. He died at Jefferson Hospital for Neuroscience. "Dr. Rothman will be remembered for his amazing accomplishments, his surgical skill, his entrepreneurial spirit and his inspirational mentorship," said a statement from Jefferson Health, where Rothman's team led the Department of Orthopaedics. "Beyond all those aspects of his life, there are thousands of doctors and patients whose lives have been positively altered because of Dr. Rothman’s presence." Founded in 1970, the Rothman Orthopaedic Institute grew into a regional, national and international destination with more than 200 physicians. The institute has consistently been ranked among the nation's best by U.S. News & World Report and receives the second highest number of grants from the National Institutes of Health in its category. 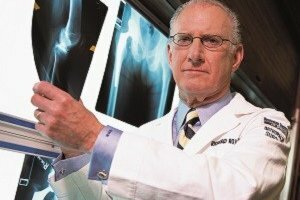 Rothman performed more than 50,000 total hip and total knee replacements over the course of his career as a surgeon. He was an inventor of implants, held a teaching position at Jiao Tong University in Shanghai and served as a senior adviser for The Riverside Corporation, a private-equity firm in New York City. Rothman is survived by his wife, Marsha, four children and five grandchildren.